The philosophy of The Fishing School (TFS) is inspired by the adage, “If you give a man a fish, you will feed him for a day. If you teach him how to fish, he will feed himself for a lifetime.” Our mission is to prepare elementary and middle school youth for success in high school and life by improving their academic performance and life skills; and engaging them and their parents in intensive, multi-year, and research-based out-of-school time (OST) and parental engagement programs and activities. More than aftercare, TFS’ academic and life skills programming promotes holistic personal development that is consistent with violence prevention best practice. According to the findings of the Office of Juvenile Justice and Delinquency Prevention (2016): The most effective violence prevention strategies are developmentally based responses, tailored to the individual. They also address risk and protective factors and provide opportunities for positive development. TFS began in 1990, when Tom Lewis, a retired Metropolitan Police Department (MPD) officer, renovated a former crack house and opened TFS on Wylie Street, NE, in one of the most crime-ridden neighborhoods in DC. He believed then, as we do today, that education is the key to breaking the cycle of poverty. Consequently, what started as a program serving five children with an annual budget of $2,100, has become a research-based, highly effective afterschool and summer program provider, serving 715 youth and their families daily with a budget of $1.6 . TFS programming has four major components. TFS’ Elementary Afterschool Program builds academic and life skills to develop participants’ ability to attain their personal goals and create a foundation of academic and social success leading into middle school. 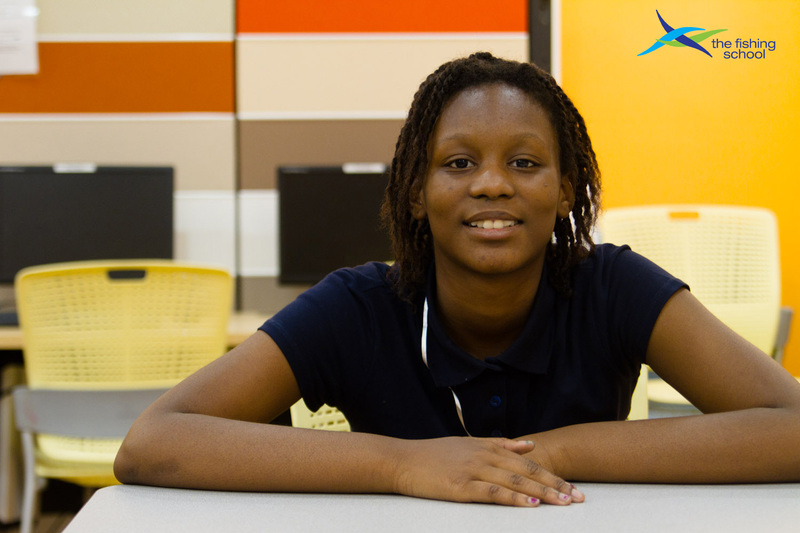 The Middle School Program supports the critical needs of 6th to 8th grade youth with a focus on college and career readiness. In Summer Camp, participants receive support to build and maintain academic and social skills in an effort to prevent summer learning loss. Lastly, TFS’ Parent Engagement Program involves parents in year round activities and events designed to increase their knowledge and skills of youth development and to empower them to help their students succeed. For more information about The Fishing School and to get involved, please visit www.fishingschool.org, or call (202) 399-3618. We also invite you to ‘Like’ our Facebook page and follow our Instagram, LinkedIn, and Twitter accounts.